After laying down the gauntlet on Thursday the London Knights, at the top of the championship ranking, keep their winning combination heading into the final round today. Following their lead, second and third placed teams, Rome Gladiators and Doha Fursan Qatar retain their round 1 combinations. A huge shake up has occurred in the Scandinavian Vikings with the riders replacing both horses. Christian Ahlmann will ride Clintrexo Z and Leopold van Asten will ride VDL Groep Beauty - two greys for the navy blue emblazoned squad. Currently ranked 7th in the Championship, the team is vying for a top four position to fast track their way to the semi-finals at the GC Playoffs. There is a surprise horse change for Miami Celtics with Michael Duffy introducing Quintano 35 to GCL for the first time. A daring move by team manager Helena Stormanns who has navigated the team to third place in the Championship. Miami Celtics must keep up their solid performance of the season to retain their fast track to the semi finals in Prague. After coming second in the speed class on Thursday, Danielle Goldstein and Lizziemay join the Montreal Diamonds alongside Harrie Smolders and super stallion, Emerald. 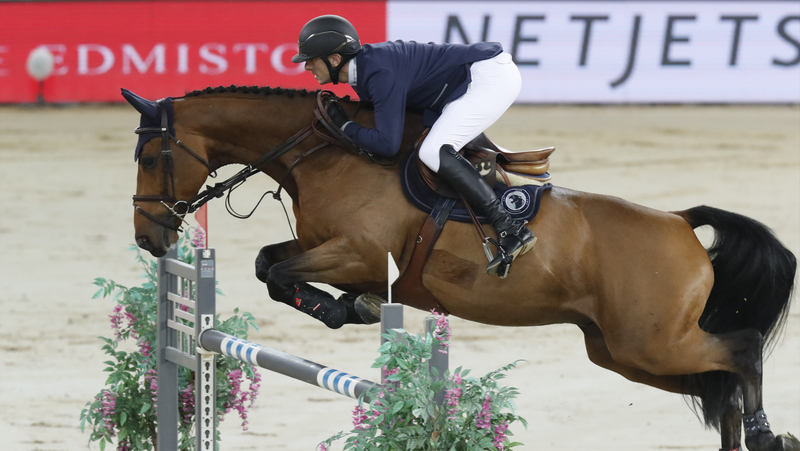 Averaging 4 and 3.2 faults in the second round respectively, can this combination pull off two clears to stay their current position on 13 faults? Tune in live at 14.30 local time in Doha, Qatar via GC TV and Facebook live to catch all the action for the GCL final!